© Text & photos Stuart Smith. Following on from the excellent talk given in March by Chris Taft (Head of Collections, Postal Museum), I arranged this visit to give an opportunity to gain further knowledge of one of this countries great ‘services’, and in particular, to ride on and explore part of the Postal Railway which runs underneath the streets of central London. 18 members met just before 11 am, and once tickets and passes had been distributed, we entered the exhibition part of the museum. To explain briefly, the Postal Museum is split into two parts. 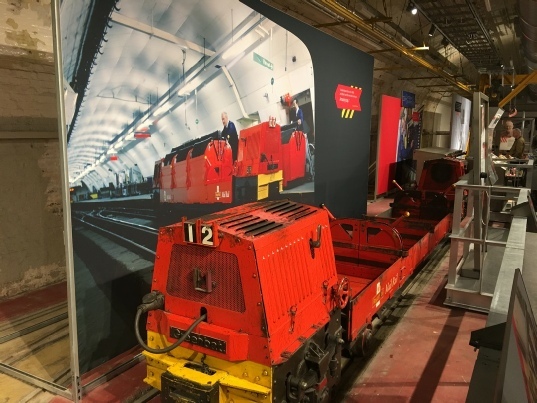 The exhibition hall which houses the main collection of artefacts and historical items (uniforms, equipment, vehicles, post boxes, trolleys....), plus interactive displays and film shows, such as Night Mail by WH Auden and clips from the Great Train Robbery. This section also contained a large array of items in connection with stamps & postage, plus the changing world of the humble post office and its role in local life. We had just under an hour to explore in here before making our way to the opposite side of the road to the second part of the Museum. 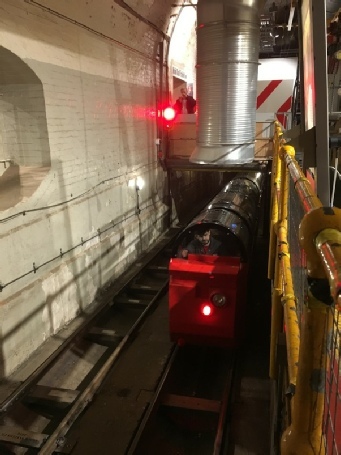 Mail Rail is a 15 minute ride on the former Post Office railway, through the tunnels at Mount Pleasant Sorting Office. Another ticket check saw us allowed to descend into a huge underground area, which was formally occupied by Mount Pleasant Depot. Within a few minutes the sound of a rumbling train could be heard, and from the small tunnel mouth, emerged an even smaller green train. 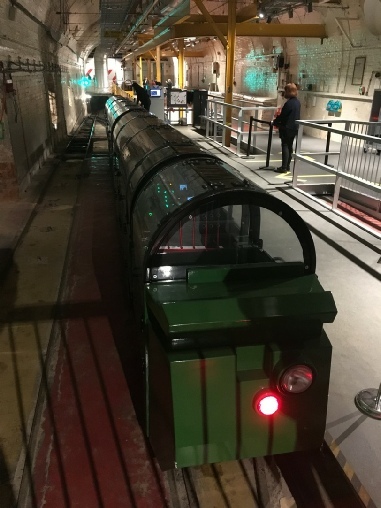 These trains (there are two of them - one green and one red), were constructed especially for the museum in 2016, by Severn-Lamb. Each drive unit has 3 bogies each powered by a 6kw brushless motor fed by valve-regulated lead acid batteries located in the centre of the drive unit (2 banks of 72V). The maximum speed is limited to 10.5kph (6.5mph), with wheel gauge being 2ft (610mm). Duty cycle is 40 minutes per hour for 10 hours each day between charges. Green Train Built by Severn-Lamb. Delivered to Postal Museum 18/11/2016. 21625 & 21626 - Drive Units. 21627, 21628 & 21629 - Unpowered Vehicles. Red Train Built by Severn-Lamb. Delivered to Postal Museum 18/11/2016. Once the previous set of passengers had detrained (and straightened themselves upright again!! ), it was our turn to board. Our group of 18 filled the train to almost its maximum (it can take 21 allegedly, but I think you’d all have to be quite small to fit) before the roof top hatches were closed and locked - an essential Health & Safety requirement given the very limited space between the train and tunnel walls. Apparently, any detection of these being opened (even if accidentally), automatically cuts the power to the train to prevent damage to the vehicle and/or personnel injury. Well, not really, as the tunnel sections are now fully lit (unlike when used as a working railway). 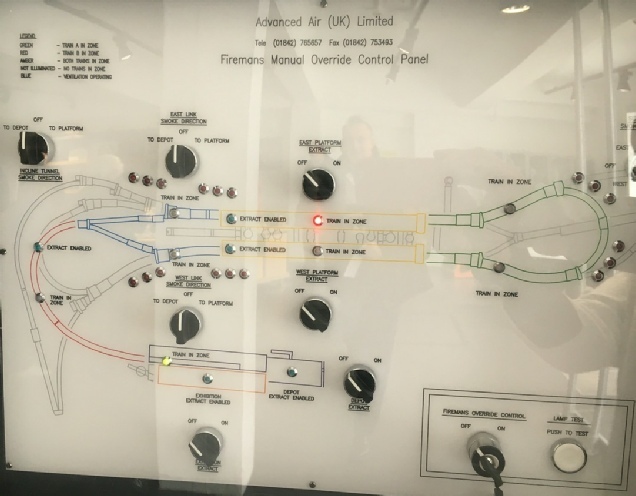 A short safety briefing is given during the downhill descent to the main tunnel, and then a very informative account follows, with mention of the previous historical and current operating procedures. 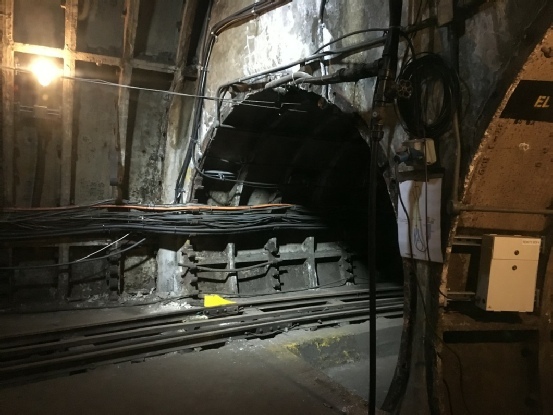 Several sets of disused lines and sidings were noted heading off in various directions, including, notably, the tunnel entrance to the former eastbound route towards Liverpool Street. A few items of redundant rolling stock were noted abandoned on sidings and spurs as we went along. Around half-way into the journey, the train reaches the former station at Mount Pleasant itself. Here the train stops and a visual projection of the history of the railway system is projected on the platform area walls. After a few minutes, and once the signal clears, (this is to ensure the two-train frequency is maintained, and also to separate them on the inbound & outbound loops) the train sets off again through more tunnels and continues to follow the loop heading back to where we started. Once off the train, we were able to continue looking through the exhibits in this area, all of which are connected with the railways. 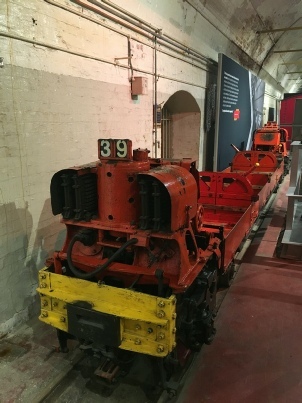 Several items of former rolling stock, including mail carrying wagons, PW equipment and even a TPO van are viewable. At its peak, over 4 million letters were carried every day. 200 dedicated staff worked in shifts to keep everything working: from postal staff, to cleaners and maintenance engineers. It was considered a privilege to work for this ‘underground’ team. The idea for a postal railway was first suggested in 1909, by Robert Bruce. At that time, Mail travelled at barely 7 mph through the congested streets of London. Construction began in 1914, with the tunnels being dug around 20 metres below the road surface. 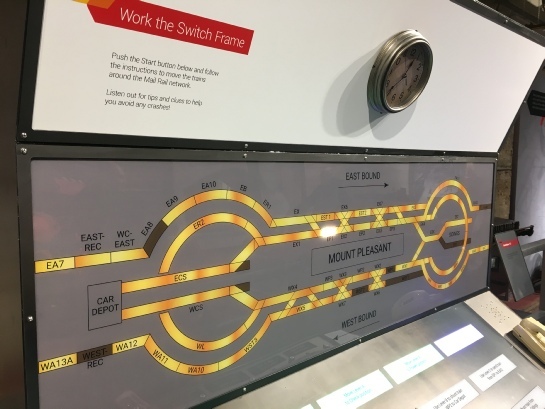 Following some delays due to wartime activity and the subsequent destruction, the railway opened in 1927, and straight from the start, driverless trains were able to operate at speeds of up to 30 mph on the two-foot gauge system which linked the major sorting offices of the Capital. The line operated continually up until 2003, when many of the London sorting offices were closed, and the amounts of post being carried could not justify its continued use. Prior to Mail Rail, the Victorians experimented with a pneumatic driverless system in 1863. The cars ran along metal rails, (propelled by air-pressure created by giant steam powered fans), in tunnels just 3 metres below the ground. This operated until 1874 when the tunnels were abandoned. 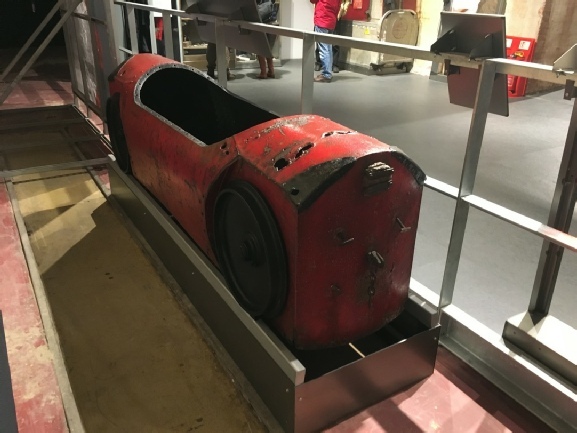 One of the early pneumatic cars has been saved and is on display. Sixty years after its original opening, the system had a total makeover and was re-born as ‘Mail Rail’. All the trains were painted into the traditional red livery of the Post Office. The railway also became computerised, with one main control centre located at Mount Pleasant. The railway was used as a location for the 1990 film Hudson Hawk, staring Bruce Willis. Several locations were transformed to resemble an underground railway, supposedly situated beneath the Vatican City. All in all, a quite remarkable railway, which due to its location (underground), many Londoners probably don’t even know it exists?